Objective Shift work is a risk factor for many chronic diseases and has been associated with unhealthy lifestyle behaviors. Workplaces have great potential for promoting and supporting behavior change. We conducted a systematic review of group-based lifestyle workplace interventions for shift workers to (i) identify adaptations and intervention components that accommodate shift working and (ii) assess their impact on weight, physical activity, sedentary behavior and healthy eating. Methods A systematic search was conducted in Scopus, Web of Knowledge, EBSCO and Ovid databases. Using pre-established criteria, independent pairs of researchers conducted the study selection, quality appraisal and data extraction.  Results In total, 22 studies on group-based workplace interventions for shift workers were included. Many demonstrated organizational level adaptations, such as flexible delivery times and paying employees’ time for their involvement. Delivery locations near the workplace and management support were other key features. Common intervention components included competitive group activities, individualized goal setting, self-monitoring and feedback, staff involvement in intervention delivery, and incentives. There was moderate evidence for effectiveness on weight and physical activity outcomes, but insufficient evidence for healthy eating outcomes. No interventions focusing on sedentary behavior among shift workers were found. Conclusion Current evidence demonstrates that group-based workplace interventions can be effective for supporting shift workers to lose weight and increase physical activity, while further research is needed to change healthy eating and sedentary behaviors. Our findings offer decision support on organizational-level adaptations and intervention components that are important to make interventions that promote healthy lifestyles more accessible to shift workers.